Outside of leading the Soul Capital team Jamie is also a lecturer in innovation and entrepreneurship at the University of Auckland Business School where his research presently focuses on social innovation and impact investment. He sits on the New Zealand's inaugural National Advisory Board for Impact Investment. He also sits on the boards of Social Enterprise Auckland, New Zealand's only representative body for social enterprise, and on the board of Connect Supporting Recovery, a large community mental health service provider. Previously Jamie has provided advisory and consulting services for a range of organisations across the SME, NGO, corporate, and social innovation sectors. 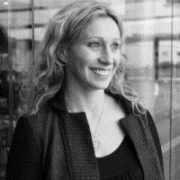 Jade brings extensive experience in the social enterprise and not-for-profit sectors. She is a co-founder of education social enterprise The Learning Collaborative; a trustee and former CEO of youth anti-poverty movement P3 Foundation; former Learning and Change manager at Engineers Without Borders NZ; and a founding trustee of the Aotearoa Youth Leadership Institute. Jade is currently undertaking a DPhil as a Rhodes Scholar at Oxford University. Her research focuses on critical infrastructure planning, investment and governance in emerging economies. Dave has more than 20 years of experience working with enterprises at different stages of development in a variety of senior management roles focused on business development, management, and strategy. Melbourne based, Dave was previously Director of Private Equity at Goldman Sachs JBWere Australia. He sits on the Strategic Advisory Boards of Small Giants, a privately owned social investment group, and The Difference Incubator. He also acts as Head of Innovation Development at World Vision Australia. Deb is a highly experienced investor, director, and adviser to entrepreneurial SMEs. She is also a Senior Lecturer at the University of Auckland Business School and co-author of the book Deb 'Changing gears: How to take your Kiwi business from the kitchen table to the board table'. Deb's research and teaching focuses on entrepreneurship and innovation. Julianne is highly experienced businesswomen having successfully run businesses in New Zealand, Australia, and Europe. She is on the Board of Trustees of Launchpad, a non-profit, youth employment initiative designed by the Employment Scholarship Trust. Julianne has a long history of acting on her heart for the vulnerable, and her energy is the heart of Soul Capital. James is an experienced commercial and investment professional currently working with Development Christchurch Ltd. Prior to joining Development Christchurch James’ primary focus was in infrastructure finance, both in New Zealand with PwC and in developing countries consulting to the World Bank, ADB, and UNDP.